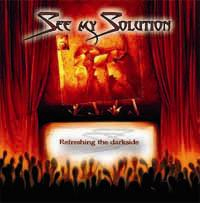 See my Solution is a young band from the area around Zwolle(the Netherlands). The band calls their music ´New wave metal´ and their music is influenced by bands like Killswitch Engage, Still Remains, Trivium and In Flames. Their music is both heavy and melodic and has grunts and screams as well as clean vocals. The band was founded in 2000 and since then have ended up third (out of 111) in the national schoolbands contest Stagemasters and won both the second prize and the audienceprize in the MetalBattle 2004.